Tim McGraw and Faith Hill kicked off their highly-anticipated Soul2Soul: The World Tour Friday night (April 7) in New Orleans—which marks their first co-headlining tour in 10 years. From the looks of their social media accounts, the weekend was quite a success. The tour made stops in New Orleans on April 7 and Tupelo, Miss. on April 9 with the Brothers Osborne getting the party started, opening the show for the first two nights of the tour. 26 different opening acts will join the couple as they continue touring the country—with a different act each weekend. Before Tim and Faith hit the road, they stopped by the Nash Country Daily offices where we asked them just what they love about touring with each other. 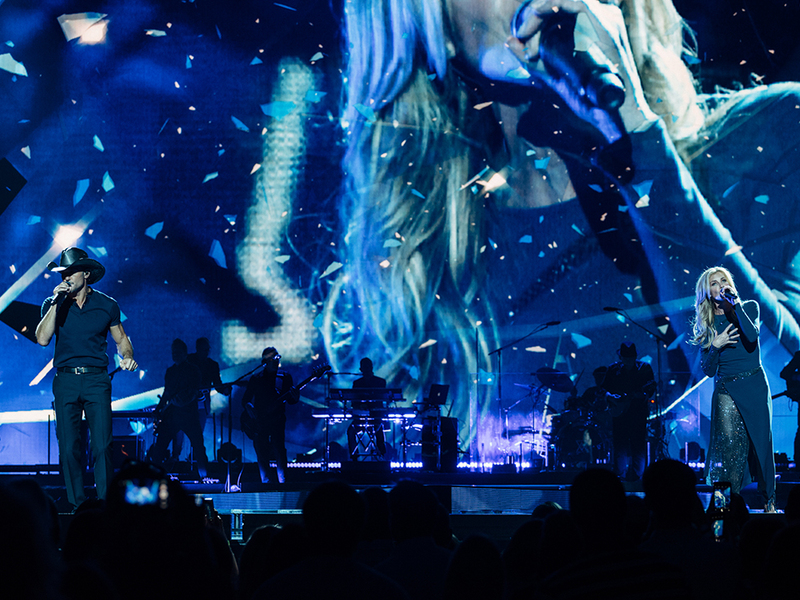 The level was raised on April 7 when the Soul2Soul tour kicked off in New Orleans. Check out Tim and Faith’s Soul2Soul weekend in New Orleans and Tupelo, Miss.